Sanford Dental Excellence provides patients who are experiencing tooth loss or currently wear dentures with Fountain of Youth® Dentures. It will not only resolve your dental problems, but also improve your appearance. Using the latest technology and premium quality cosmetic teeth, we design dentures that replicate the look of your natural teeth and give you a confident, sensational smile. The dentures actually blend in with your features providing facial support and a beautiful, natural-looking smile. The dentures can also be secured with dental implants to improve their function. 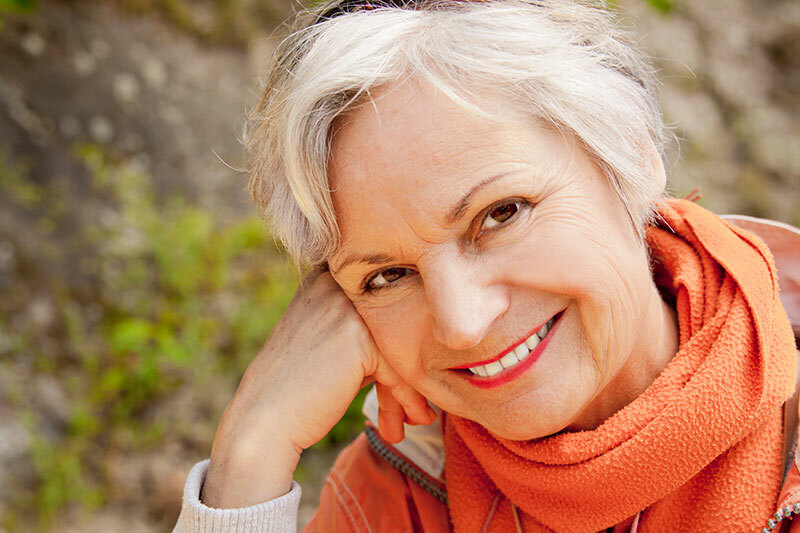 Fountain of Youth® Dentures are the most customized denture available. These are the types of dentures that our office makes.They are the most expensive type of denture, however, you will get the best comfort, function and esthetics. Our success lies in achieving and maintaining optimum muscle relaxation and function. This is important in dentures in that this directly relates to the appearance of dentures. We will build the bite at the position where the muscles will best function. This coincides with the same position that provides the greatest facial support. The dentures that function best also look best. You have all seen a person’s face “sink in” when they remove their dentures. A little amount of this “sunken in” look exists in dentures if they are not made to optimum neuromuscular dimensions. If time is taken to properly determine and capture all of these considerations in the new dentures, the patient will look better and feel better also. Our Fountain of Youth® Dentures patients typically look 10 to 20 years younger when we are finished, and they can eat normally again! This process takes an average of four visits. The craft of making dentures is fast becoming a lost art. To make a quality denture takes more expertise, time and expense than the typical economy denture made by economy denture specialists. Many patients choose to experiment with these economy techniques because the cost savings are tempting, but they end up with a drawer full of ill fitting mistakes and a bathroom cabinet full of denture adhesives. A mold of your existing teeth and gums is made so that your new dentures can be made within a very short time. At the second appointment, we use all the latest dental techniques and even sedation dentistry to make you as comfortable as possible during the extractions. Our advanced surgical procedures ensure that the best possible fit of your new dentures will be made. We will make your new teeth as natural looking as possible and take care of all necessary adjustments. Our goal is to provide you with great looking dentures that no one knows you’re wearing. After extractions are done, the gums will shrink necessitating visits to our office to fill in the gaps in the denture fit created by the shrinking gums. In our office, all adjustments and relines are included throughout the duration of your treatment. We never charge for office visits. After 4-6 months, a second permanent denture is constructed to compensate for the gum shrinkage after extractions. 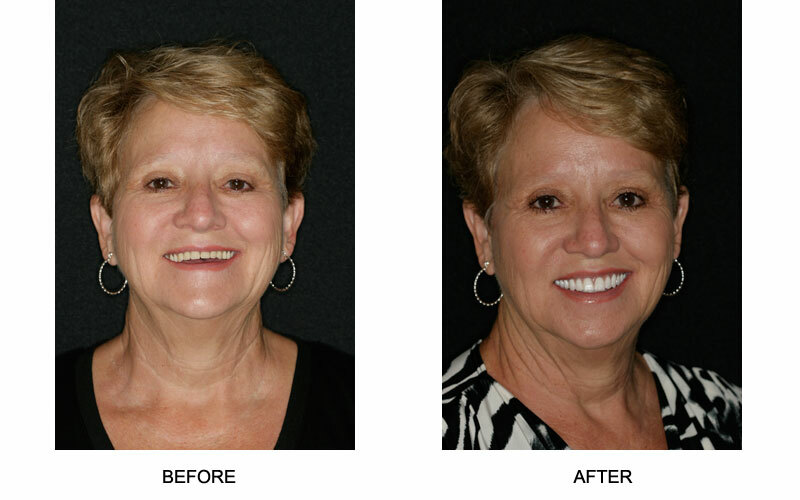 With this denture we can make any cosmetic changes you desire or simply duplicate your original immediate denture. Our immediate denture service includes all relines, adjustments and 2 sets of dentures. If you are missing teeth and have difficulty chewing, partial dentures can often provide a good solution. They can now be made with or without metal clasps and fit very comfortably as well as having an look extremely natural appearance. If you’re missing multiple teeth, ask us about the different types of partial dentures we can offer. For any questions on denture procedures or to schedule an appointment, please contact our office by email or call 407.890.7735.